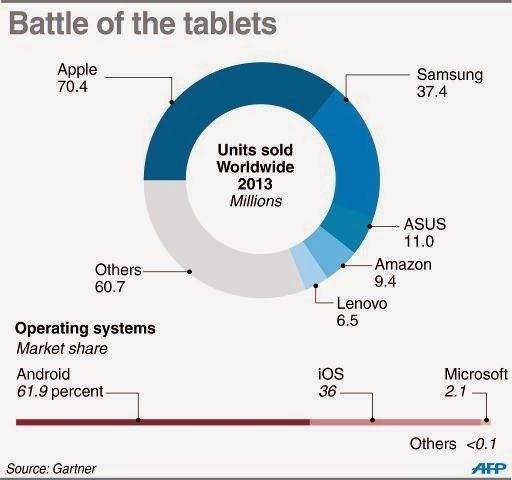 Tablet computer sales soared last year with Android-powered devices dethroning iPads atop a booming global market, according to figures released Monday by Gartner. Sales of tablet computers surged to 195.4 million last year in a 68 percent jump from what was seen in 2012, the industry tracker reported. The raw number of iPads sold climbed more than nine million to a total of 70.4 million. 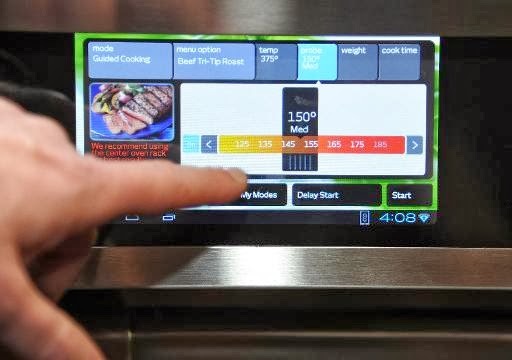 Meanwhile, the portion of sales grabbed by tablets running on Google-back Android rose to 61.9 percent last year from 45.8 percent in 2012, according to Gartner. "In 2013, tablets became a mainstream phenomenon, with a vast choice of Android-based tablets being within the budget of mainstream consumers while still offering adequate specifications," Gartner research director Roberta Cozza said in a release. Apple continues to rule the high-end of the market with iPads, but low-cost Android tablets appeal to buyers with slim budgets in emerging markets, according to Gartner. California-based Apple's compelling "ecosystem" of music, games, films, and other digital content and services for mobile devices has rivals under pressure to provide similar experiences on tablets, Cozza said. Apple remained the top tablet seller, but sales of Android devices by second-place Samsung more than quadrupled last year to 37.4 million, according to Gartner. Microsoft sold slightly more than four million Windows-powered tablets in a jump from the prior year, but remained far behind the market leaders.